Dr. Steve Albrecht manages a training, coaching, and management consulting firm, using a dedicated and experienced team of subcontractor specialists. As a trainer, speaker, author, and consultant, Steve is internationally recognized for his expertise in high-risk HR issues. He provides HR consulting, site security assessments, coaching, and training workshops in supervisory improvement, workplace violence prevention, harassment prevention, drug and alcohol awareness, team building and team conflict resolution, negotiation, and stress management. Dr. Albrecht holds a B.A. in English, a B.S. in Psychology, an M.A. 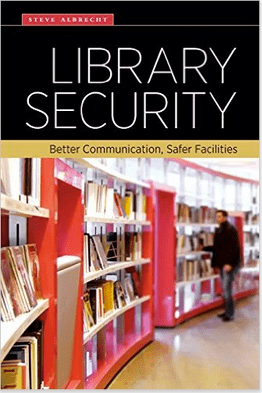 in Security Management, and a doctoral degree in Business Administration (D.B.A.). He has been a trainer for over 26 years and is certified as a Professional in Human Resources (PHR) by the Society for Human Resource Management, as a Certified Protection Professional (CPP) by the American Society for Industrial Security, and as a Board Certified Coach (BCC) by the Center for Credentialing and Education. He has received over 48 hours training in Critical Incident Stress Debriefing (CISD). Steve just received the national designation, “Certified Threat Manager” (CTM), from the Association of Threat Assessment Professionals. He is among the first group of ATAP members in the US, Canada, and Europe to receive this certification. In 1999, Steve retired from the San Diego Police Department, where he had worked since 1984, both as a full-time officer and later as a reserve sergeant. He spent six years in the Domestic Violence Unit, where he handled over 1,500 cases. 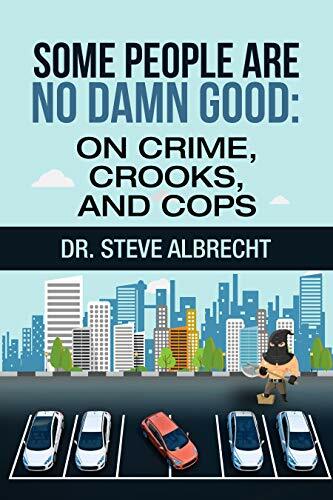 His police books include : Contact & Cover; Street-work; Surviving Street Patrol; Tactical Perfection for Street Cops; and his latest ; Patrol Cop. 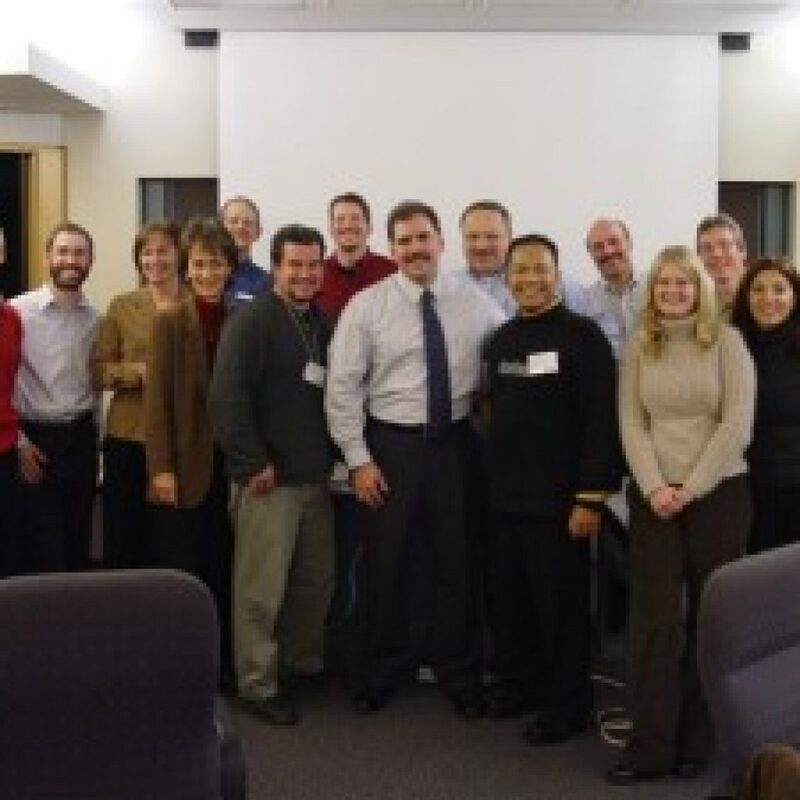 From 1996 to 2013, Dr. Albrecht worked as a Course Leader for the American Management Association, teaching two and three-day supervisory seminars. He has taught as an adjunct professor at the University of Southern California, Cal State Fullerton, Brandman University, San Diego State University, and National University. Steve is the past president of the San Diego Chapter of the Association of Threat Assessment Professionals (ATAP) and the current VP of the Colorado chapter. 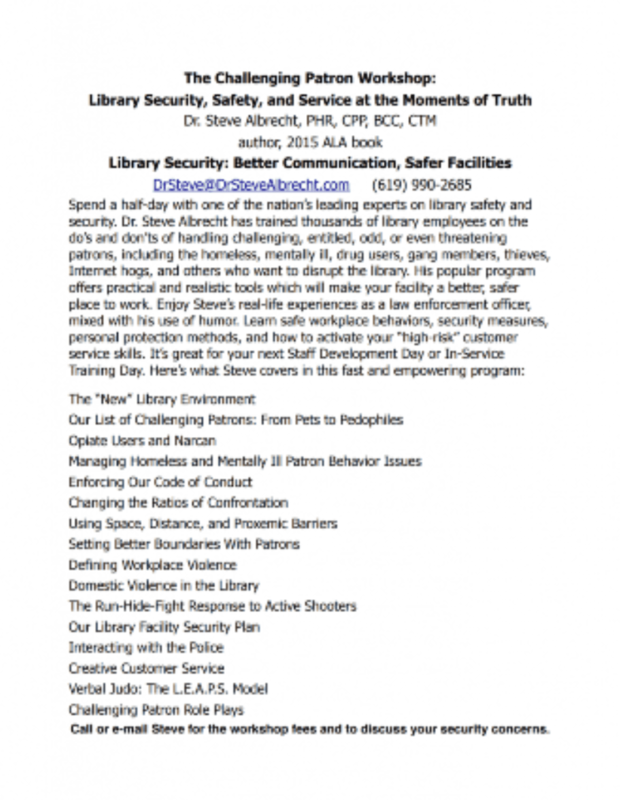 For more information about Steve or his programs, please contact him today. I consent to drstevealbrecht collecting my details through this form.